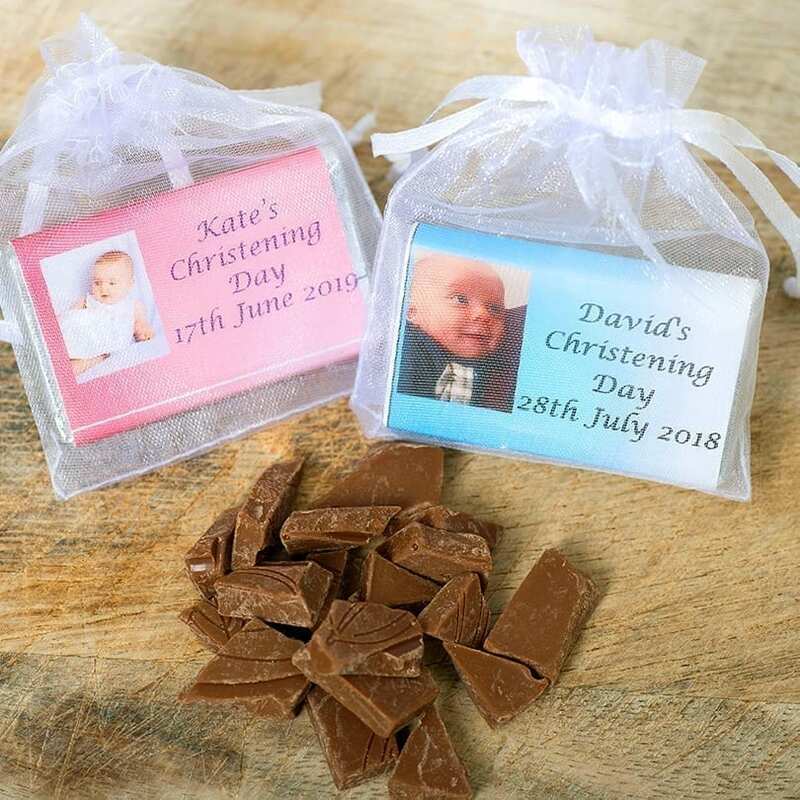 Our 10g bar of chocolate can have the baby’s photo on the wrapper and also the name of child and the date of the christening, Add a pretty organza bag and it is an excellent christening favour and a way to say thank you to all your guests. 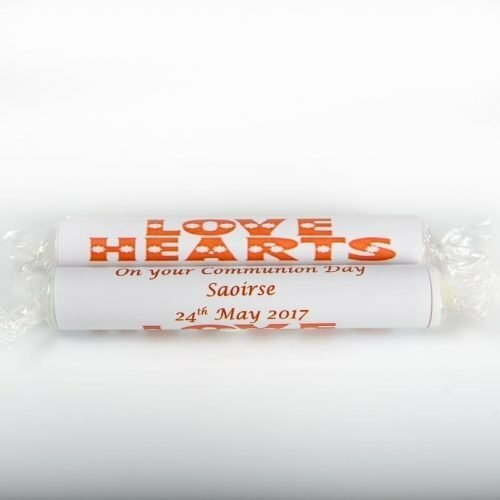 Suggested message for the back – thank you for celebrating with me, thank you for sharing my special day. 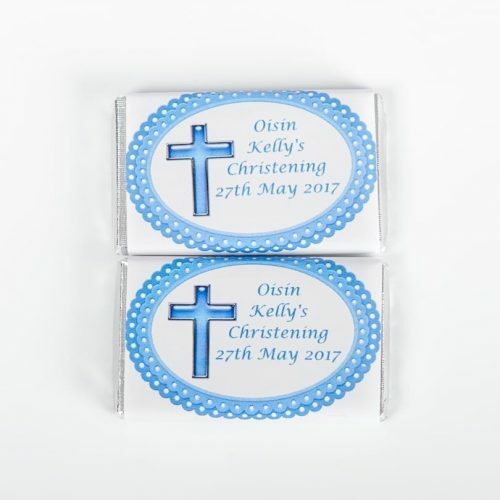 Our 10g bar of chocolate can have the childs photo on the wrapper and also the name and the date of the occasion, Add a pretty organza bag and it is an excellent favour and a way to say thank you to all your guests. 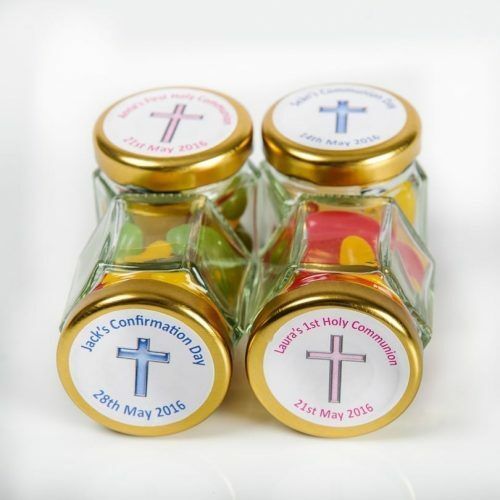 Wrapper is available in white, blue and pink and the bag in available in white, pink and blue also.